Any good defensive tactics instructor will most likely say your brain is your number one defense against a physical confrontation. 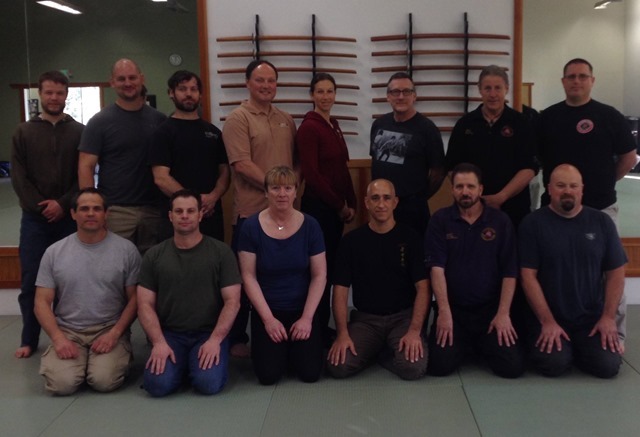 Without your brain in alignment with sound defensive tactics, what good are they? Human beings have for sometime made good use of tools for many things including defense. Tools range from impact to edge instruments to firearms. In today’s world, we have many options of these tools yet no one of them is right for every single situation. Some of these tools are prohibited in some jurisdictions while others may be against someone’s religious convictions or a countless other reasons. One category, impact tools just might fill a void that edge tools and firearms cannot is when deadly force is not justified. The main reason for impact tools rising above the other tools is that they are not seen by the general populous as tools that inflict deadly force. Granted they will not solve all problems nor will firearms or edge tools. The most common impact tool is known as a Kubaton, which is approximately 6 inches in length, slim enough to easily fit into the palm of your hand and not attract attention along with a place to carry your keys. A seasoned police officer once said that they best gun is the one that is in your hand when you need it but you cannot go through your day with a handgun in your hand without attracting a great deal of attention. Try carrying a Kubaton around all day long and you will find that not many people will take notice. With proper training when the attack comes you can fight back with the Kubaton that can inflict pain, make your assailant think twice before continuing their attack or decide it is time to find other pry. 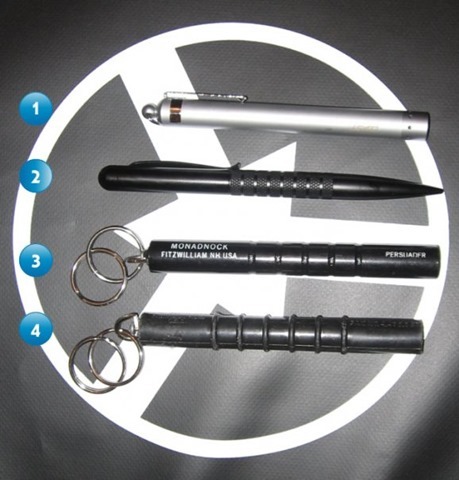 Granted no single tool is right for every situation but the Kubaton is the most universal. Do you carry a concealed handgun for personal protection? Surely, you must realize that the concealed firearm will not solve all possible attacks just as any other defensive tool will. For those who carry a concealed firearm you might consider complimenting the concealed firearm with a Kubaton which gives you more options than what the firearm can provide. If someone gets in your face but is not endangering your life is not the time to draw your concealed firearm to end the confrontation, which is where a Kubaton might very well be the correct tool to stop this person from invading your space. I like to have options and the Kubaton is simply another tool in your toolbox. My advice is to find an instructor in your area and take a class followed by carrying the Kubaton if you want a tool for self-protection but other tools are not for you. The next level up from a Kubaton is commonly known as the Bram Frank Gunting/LLC. There are three models, a trainer, a working tool (CRIMPT) and a live version. 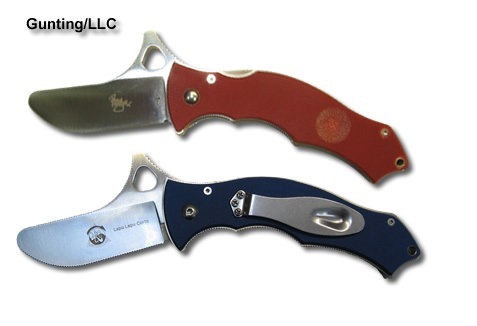 Both the training tool and the working tool have no edge and were designed to use closed rather than in an open position like its close sibling the folding pocketknife. The basic concept for the Gunting is pain compliance as is with the Kubaton but the Gunting/LLC take pain compliance to an entire new level without an edge. As Bram preaches, anyone can learn the Gunting in just four hours. The Gunting works off your natural reactions to an attack rather than retrain your mind to adapt to the Gunting, which makes it much simpler to use the tool. As with the Kubaton, the Gunting is an excellent addition to those who carry a concealed firearm. At the Jacobe Group (www.jimjacobe.com) in Salem USA we teach the Kubaton and Gunting/LLC for the simple reason it’s good to have options and that everyone has a different perspective or restriction on what they consider is right for them for self-defense. 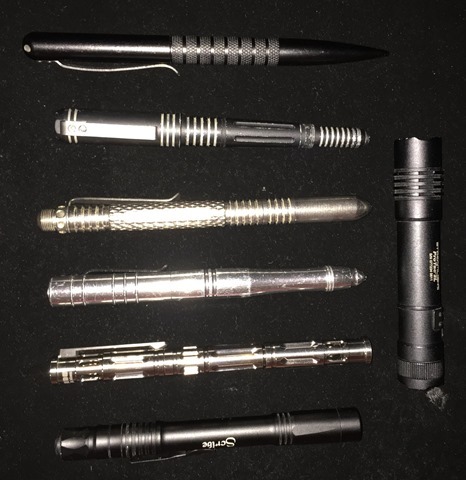 In regards to those who would like more information on the Gunting/LLC and were to find an instructor or class in your area either, contact Bram Frank who is the Gunting architect, Christian Swann, Laura Gaumond, Amy Chittenden Kirschner, Florian Lahner, Steve Shinde, Tim Kashino (located under my friend list) or I. Several of the things I am certified to teach require recertification like tactical batons its every three years, firearms every year, hand-to-hand combat and edge weapons every year. The Hand-to-hand and edge weapons lapsed last year because of my transition. I informed the Grand Master about this about six months ago and was very supportive of my transition and said make sure you come to training (which was today). He lives in Florida and does certifications at various locations around the world. In the past when first starting out I would attend a grueling six day instructor course in Florida and also Washington State. For five and a half days we would learn new methods and techniques for teaching students rather than us learning completely new techniques. The last day as just mentioned was grueling in that you had to test in a realistic environment which usually each person taking the test was rather battered up. Even though today was a one day class I expected no less in regards to the test but was told I did not need to take the test as I have proven my abilities and was handed not a one year recertification but a three year certification. When I arrived at the school one of the people who helps runs the school greeted me and told me his name then asked mine. Since nobody else was in listening range I told him I was male until recently and that my name is Karen Payne. The significances is he knew me as Kevin Gallagher. It took him a few seconds of him staring at me and then realized who I was before. We chatted then other students came in so we stopped. At the end of class the instructor said, in your photo on Facebook your eyes look extremely happy and no different in person. He had shown my photo to an assistant instructor in Florida whom I met once back I 2010 and said “she looks great doesn’t she”. Seems she must had as she made a friend request today. During the class I interacted with pretty much all the students at one point on another and nobody acted oddly to me and at the same time had no clue I was once a male. All was not peaches and crème, I realized that when people talked about family I needed to be short on that discussion as I was not going to say something like “my wife and I…”, that would give things away and was not wanting that so during some breaks I kept quite. Overall it was an excellent day working with other instructors who do this for six days a week and kept up with them.